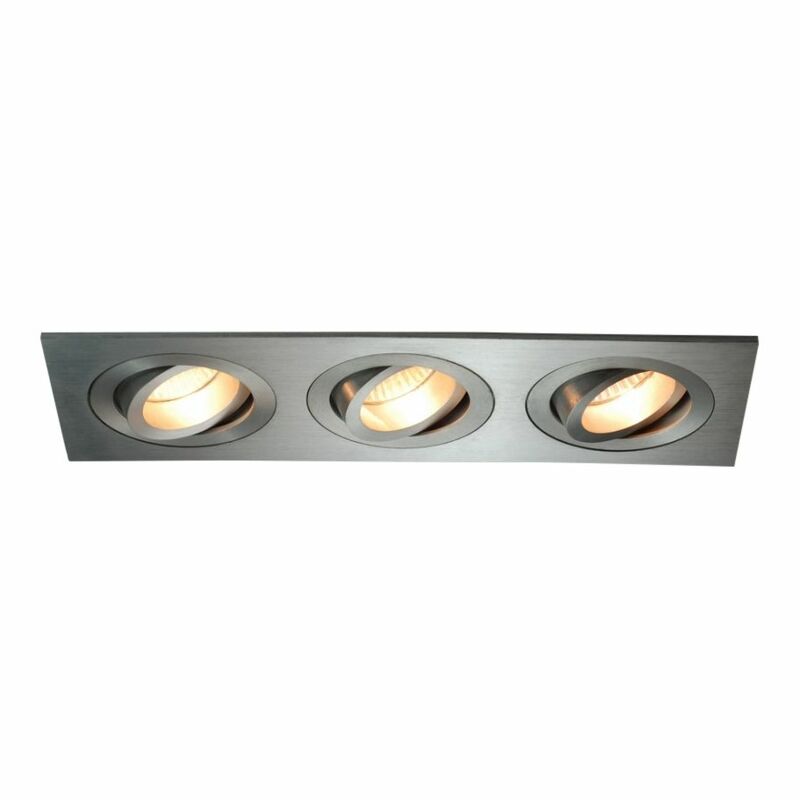 Recessed down with 3 tiltable spots made entirely of matte rust-resistant aluminum. The rectangular 3-light recessed spot is fully adjustable, tiltable and rotatable. 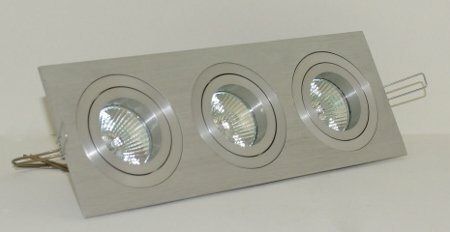 Recessed luminaire for indoor use. 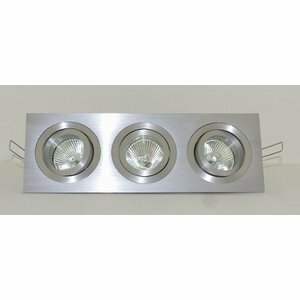 The spot is equipped with clamping springs so suitable for mounting in a suspended ceiling. 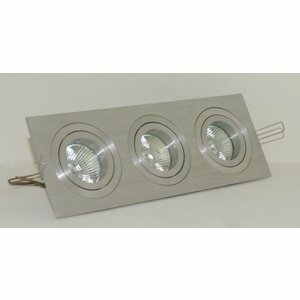 The halogen or LED light is fixed with an aluminum clamping ring. Maximum power of 3x50 Watt.